ABSOLUTELY STUNNING - you will fall in LOVE with this totally remodeled 3B/2Ba home on an oversized fenced yard! Must see to appreciate this impeccably kept & masterfully renovated home w top quality updates thru out from the beautiful 20x20 porcelain diagonal tile thru out (no carpet! ), to the amazing top level Granite kitchen with thick, no seam counters, breakfast bar and backsplash, gorgeous custom cabinetry w/lots of detail & soft close drawers, upgraded stainless appliances (only 2 yrs old):smooth top range, convection oven, Frigidaire "Gallery" double door fridge & large pantry. 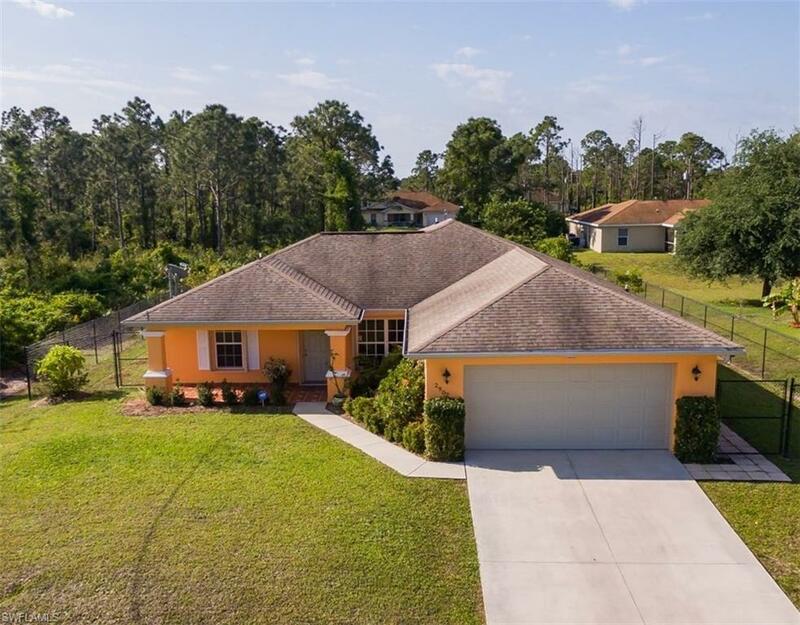 Wonderful open plan w/kitchen opening to spacious great room w/breakfast bar, formal dining, vaulted ceilings & sliders to huge covered & partially enclosed lanai. Lovely master suite w/sliders to lanai, walk in closet, custom tiled shower & raised vanity w/quartz counter. Guest rooms are just as well done w/custom tiled shower & beautiful upgraded vanity in guest bath. New AC 2016, updated R/O system. Inside laundry room w/newer washer & dryer. Huge custom tiled lanai overlooking a private, oversized yard perfect for pets or children w/6 ft coated chain link fence, security system & more! HURRY!